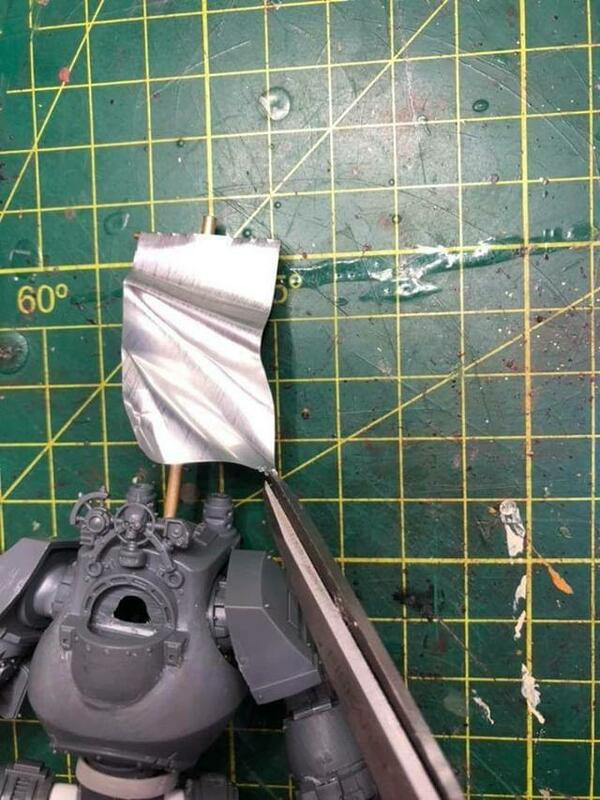 Time to scratch build a banner/flag. The Real Broken Fingers is a great painter on Instagram that I have been following via the sites own Instagram account. Everyone now and then this generous painter posts tutorials, rather good ones. I thought to myself we haven’t had a tutorial since Joe from Brokenpaintbrush did his piece on how to base Bloodbowl Orcs. 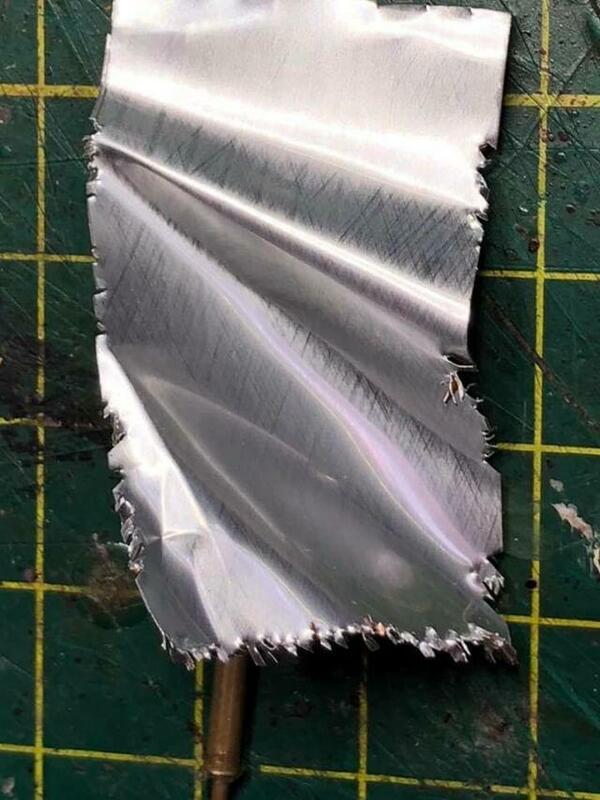 NB: you should be extra careful with the edges in this tutorial, they can be sharp. Party like it’s the Middle Ages. 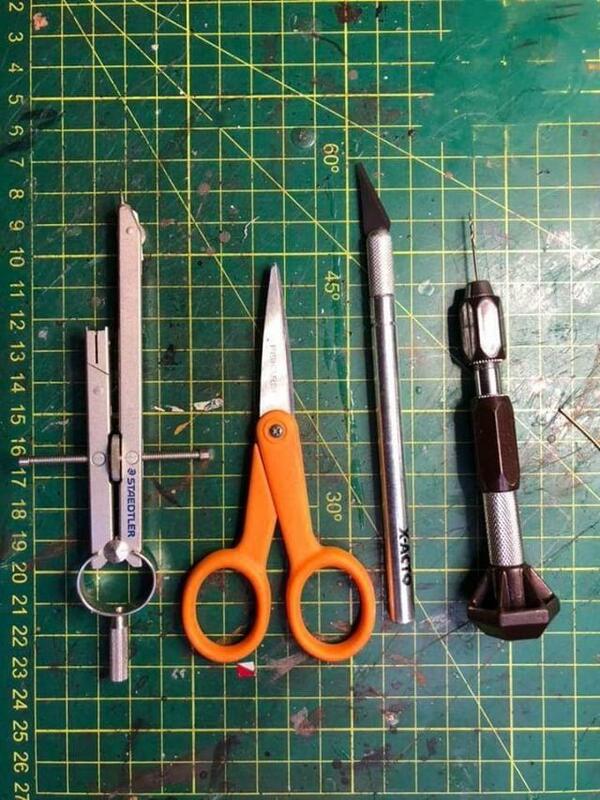 Tools shown below. Small high quality scissors are Fiskar brand. 1. 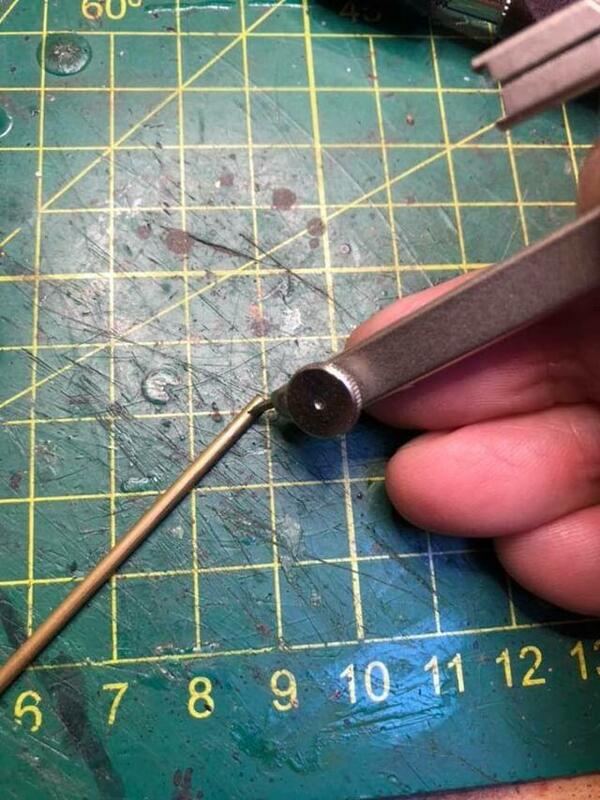 Cut a length of 3-4mm thick brass rod to size. The internal diameter needs to be 1mm. 2. Make a pilot hole for the cross bar with a compass point. 3. Drill a 1mm hole through the support pole, be careful not to snap your drill bit, go slowly. 4. 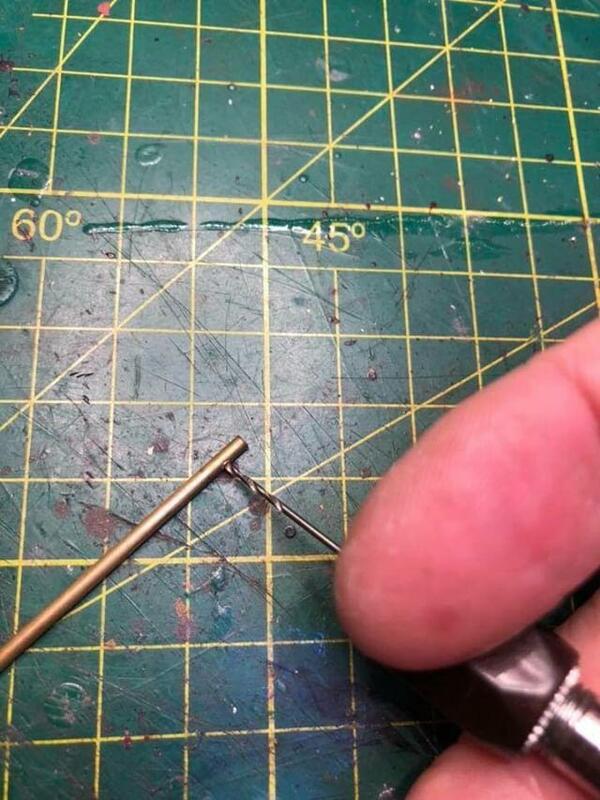 Fit a length of 1mm brass rod through the hole, superglue in place. 5. 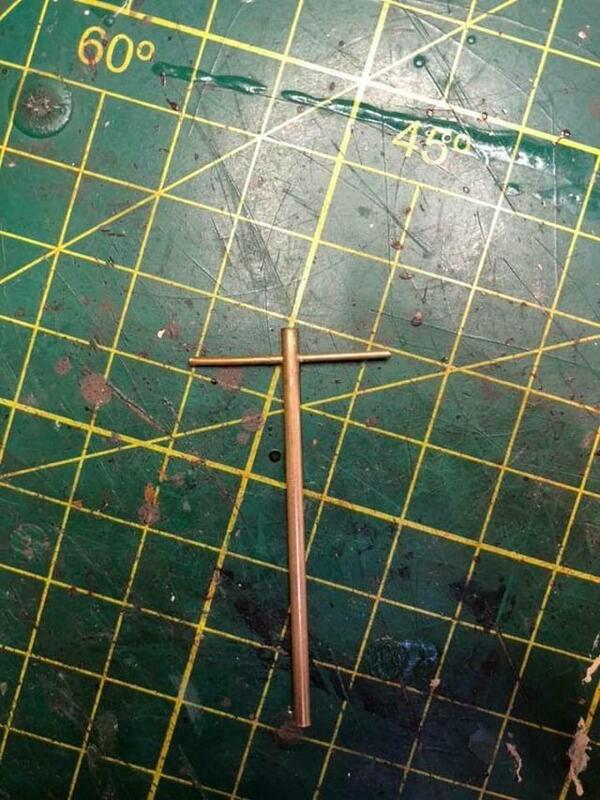 Add a length of 1mm tube inside the support pole as a pin. 6. Drill a hole for the pin and test fit. 7. 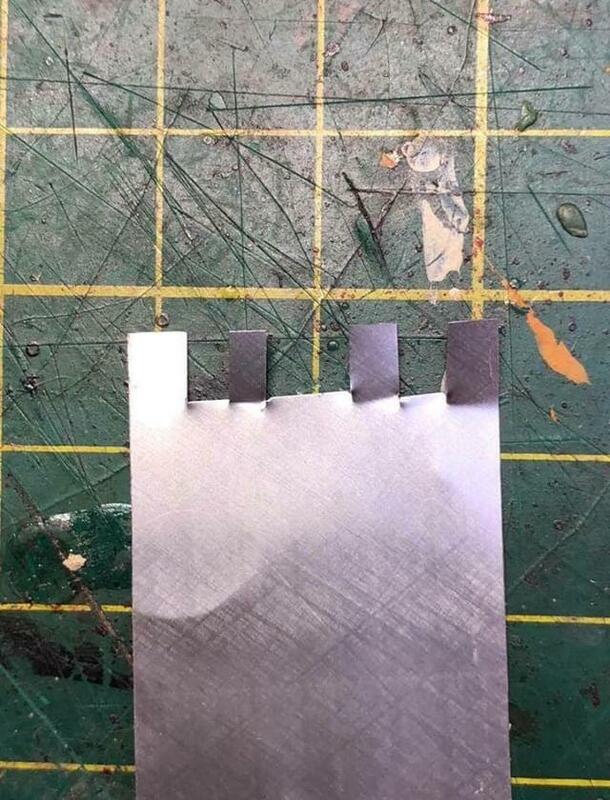 Cut up a soft drink can to the desired size making sure it is square. 8. Using good quality detail scissors make tabs in the top of the aluminium to attach to the cross bar or pole. 9. Fit to cross bar and bend into a dynamic shape. 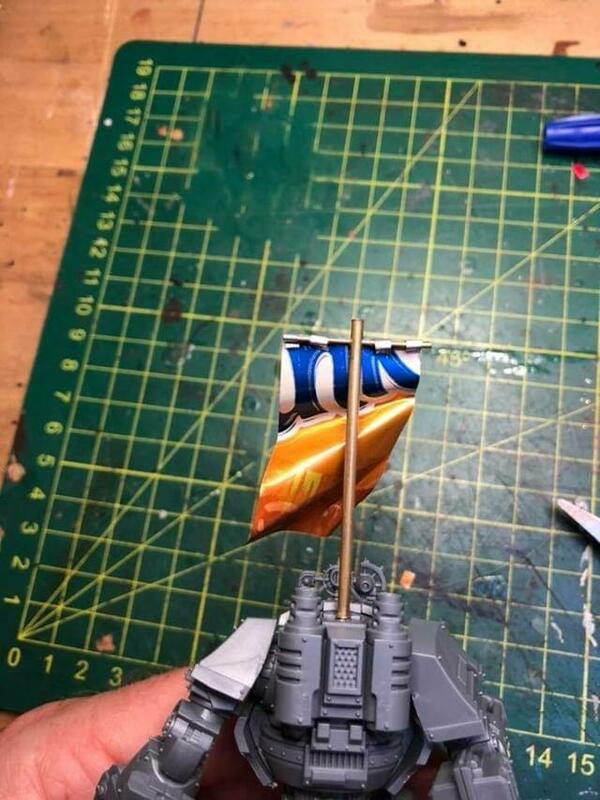 Be sure to make the banner/flag move in the same direction as any hair, purity seals etc. 10. 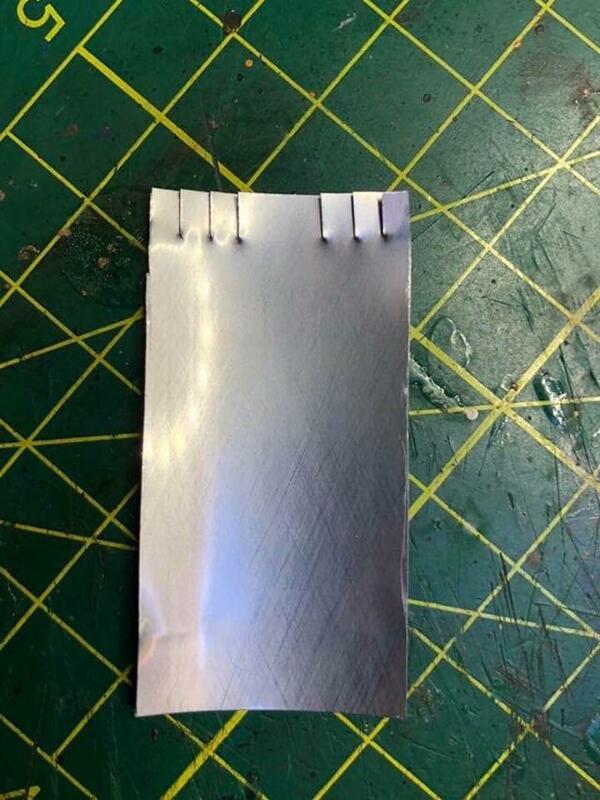 Using the quality detail scissors make cuts random and very small at outside edges of banner.